Submitted by Jason Mueller, who has lived in Costa Rica for three years and specializes in facilitating the process of shipping vehicles to Costa Rica. If you have dreamed of living in a beautiful villa in paradise island, then Costa Rica is the place for you. Costa Rica has some of the world’s best surfing waves ,the most beautiful shoreline and a wide array of things to do in-and-around the coast. Why Make the Move to Costa Rica? A popular location for tourists as well as expats looking to find a new tropical home is the town of San Buenaventura, also known as San Buenas, located in the Southern Pacific area (Osa) of Costa Rica. This town is about a mile offshore, but those who like keeping their toes in the hot sand will have easy access to reach the beach in no time at all. You’ll find great views of the mountains and oceans (there are real estate options for both) and plenty of things to do while in town. 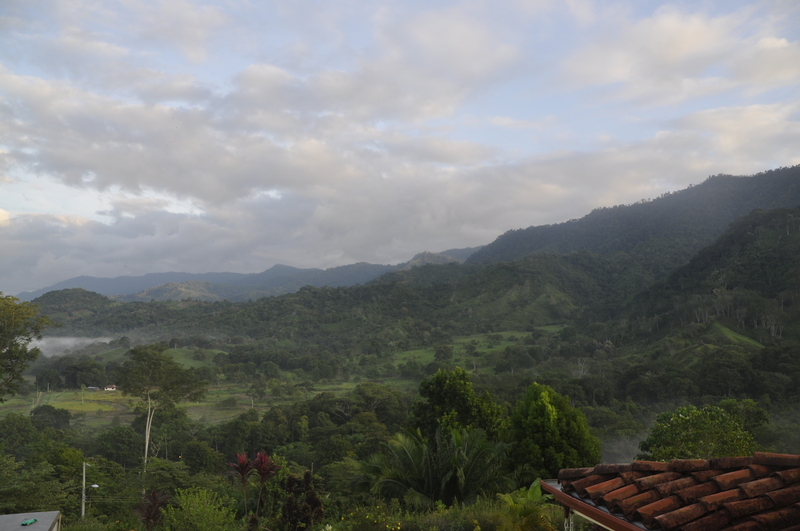 Amazing mountain views from Casa Lapas in Las Villas San Buenas. For the golf lovers, the San Buenas Golf Resort opens their greens to those that want to have a great round of golf, followed by a cold drink. Golf in Costa Rica is a great way to soak up the sun and spend a day relaxing with friends. If you want to take in a bit of nature throughout Costa Rica, the parks and recreational trails offer a glimpse into the fascinating wild life in the area that includes monkeys, birds and many other wildlife species and best of all, the comfortable, warm temperatures welcome everyone to come enjoy everything that Costa Rica life offers. The beach seems to be what many people come to Costa Rica for. The coast has much to offer, especially for those who like to surf, swim, kayak or otherwise spend time lounging in the sand and enjoying the ocean. Costa Rica is well-known around the world as the best place in the Pacific for surfing, and even if you have never surfed in your life, you can still enjoy watching others as they whip around on the waves. Better yet, in Costa Rica you will be able to find a great surf instructor and find out what it feels like to ride the waves on your own. Enjoy Playa Ventanas, Playa Pinuela or Playa Dominical, where the best surfing can be found. If you’re planning on making a permanent move to Costa Rica, you’ll find many lavish villas, condos and even small houses where you can spend years to come living in paradise. Whether you want to rent or even buy a home to live in or find a plot of land and have a home built, you will find many options to choose from. Is Moving to Costa Rica Hard? Moving to Costa Rica does not have to be difficult, but you may find that gaining permanent residency can take quite a bit of time. If you are a retiree or a person who has a steady income stream monthly, and can prove you have steady income, you may be eligible to get a pension visa, also called a Pensionado Residency. Many people in the country on a tourist visa leave every 90 days and return the same day to be able to stay another 90 days. Many rental homes are furnished, so before you start packing your home in the U.S. to have everything shipped, you may want to determine where you will live and see what you will need. Many household items may cost more in Costa Rica than what you would pay in the U.S., so take the necessary time to see what you may need to spend to purchase new items as opposed to what you will spend shipping things over. Customs taxes on household goods can range between 10% and 13% of the value of the property. To ship household goods, you need to hire a reputable international moving company. driver’s license as well as the vehicle registration and title. You will also need to provide customs with the bill of lading and an emissions test certificate. Taxes on vehicle imports can be high and typically range from around 52% up to nearly 80%. The newer the car, the lower the tax requirement for import. A reliable international auto shipping company like A-1 Auto Transport, Inc. will be able to assist with moving your vehicle to Costa Rica. Visit this page for more information on the shipping process as well as how much it will cost. Whether you plan to be the perpetual tourist and wander from one area to another renting a vacation home for a while before moving on, or you want to plant your roots by purchasing a lot to build a home or by purchasing a beautiful home, condo or villa, you will quickly find there are many great things about Costa Rica that you will fall in love with quickly. With many options for living, your dreams of moving to Costa Rica can come true and soon you will see just how great life can be when you’re living the Pura Vida lifestyle that you can only find in Costa Rica. We recently completed planning and hosting the first ever Writers’ Retreat of San Buenas. Based on the feedback from all of the participants it was a great success!! Our featured author was Will Viharo, who has over ten books published (purchase one here on Amazon) and has a passion for writing pulp fiction, Hollywood history (his father was a B-movie actor) and vintage pop culture. In fact his book “Love Stories Are Too Violent For Me” has had the movie rights purchased by Christian Slater. Mr. Slater and Will are finishing up the screenplay and hope to have it filmed in the next five years. 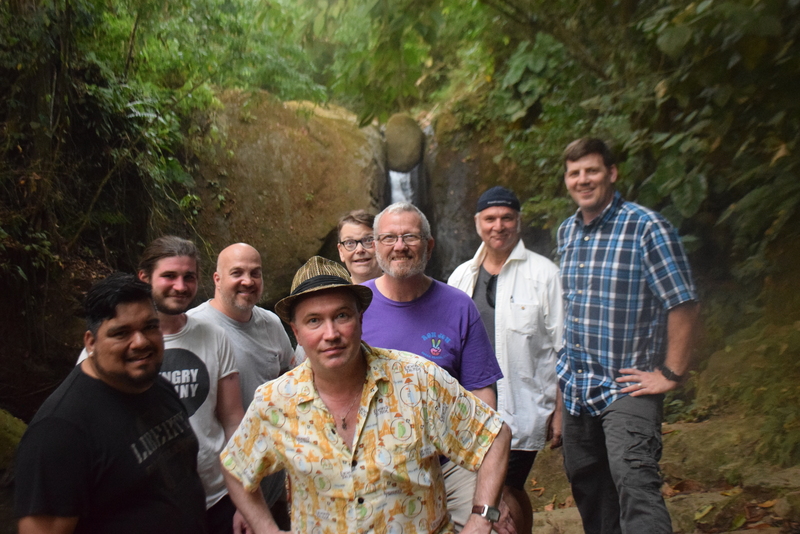 Will Viharo (center with hat), Ezekiel Tyrus (3rd from left), Nick Halverson (far right) with some of the participants at the Writers’ Retreat of San Buenas. Who can attend? Our guests have included, as described by one of our guests who is a successful Hollywood actor, The Lad from Long Beach, The Lady from Minnesota, The Poet from North Beach, The Pugnacious Floridian, The Seattle Searcher, My New Hero from Stockton, The Gentle Giant from Bloomfield Hills all with sinewy stories and sublime spirits. In short, anyone who has a passion for writing, whether you are an accomplished writer with a bookshelf filled with your byline, a famous novelist experiencing writer’s block, or a novice who has always dreamed of completing that book. This place is for you. The Mission of The Writers’ Retreat of San Buenas is to create an intimate, luxurious, inspiration-filled environment for writers to write. You may want to pen some essays, complete pages upon your travel-journal, finish your novel, perfect your screenplay, collect some short-stories, write poetry, or perhaps you’ve never written before but feel the time is right to start your memoirs. Zeke was a guest of ours back in 2016 and ended up staying longer than either he or his family had predicted. He became our Property Manager for a couple of months and during that time he wrote a novel that is to be published in mid-2017 (stay tuned!). Zeke returned to Florida last summer but he missed the beauty, the tranquility and the essence of Costa Rica. The urge to return resulted in him contacting us about setting up a writers retreat in Las Villas de San Buenas. 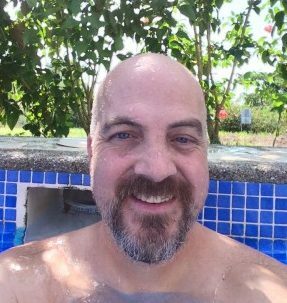 We were excited to have Zeke back in Costa Rica, but we had never planned a writers’ retreat before (although we have had weddings, birthday parties, etc on the property) so we were cautiously optimistic. Zeke took care of all the writing details and in securing pulp-noir author Will Viharo, and we took care of planning all of the details of lodging, transportation and meals. Collectively, it worked out wonderfully! The all inclusive element of the Writers’ Retreat makes it easy for participants to enjoy their time here. The feedback has been fantastic!! In fact, we already have our next Writers’ Retreat of San Buenas planned for June 10-17, 2017, with accomplished author Vi Khi Nao. This was a once-in-a-lifetime experience. The Guest writers and attendee group were amazing. So much energy and creativity! I feel I did my best writing, ever, at the retreat. — Michelle H.
I was afraid that it would be a bunch of feel-good hippie crap, which frankly I do not need and doesn’t really fit my personality…As far as the writing workshop itself, I can truly say that it was life-changing…Probably the most valuable aspect of the retreat for me was the retreat itself: carving out the time to focus on my writing, and doing so surrounded by such an amazing group of writers who were also invested in taking their work seriously. — Ray A. Please contact either us or through the Writers’ Retreat website if you’d like more information about this all-inclusive option. 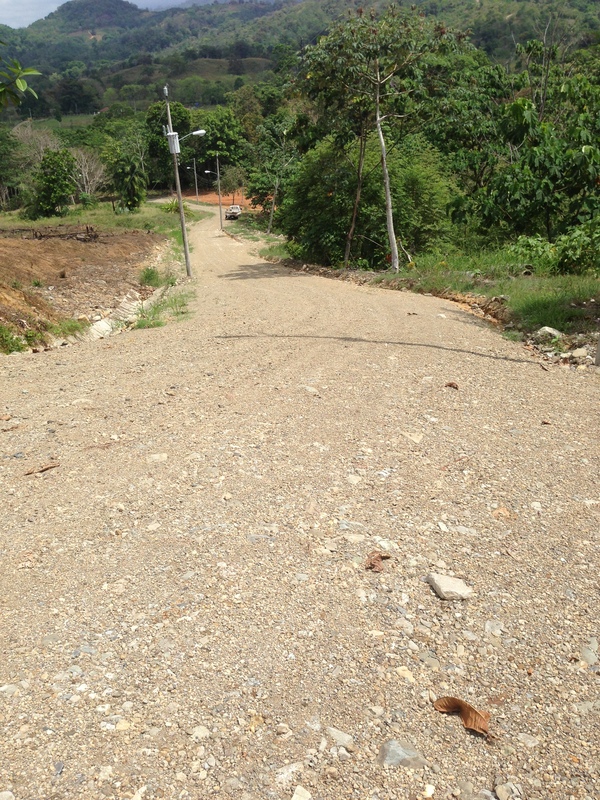 We will soon begin building our next home here in Las Villas de San Buenas. We will be updating the progress here on the website, but we wanted to show you the 3D model. The owners of this home have spent almost a decade spending long periods of time every year in Costa Rica. Their custom designed home takes full advantage of the ocean view sunsets, the constant breezes and the tranquility that Las Villas de San Buenas offers. Please let us know if you’re interested in owning a home in beautiful Costa Rica by clicking the CONTACT link in the upper right! Naively, I thought 3 months in Costa Rica would be like Hemingway’s ‘A Movable Feast’ or like any of the Beat Generation writers living in Mexico City or Morocco. Instead it was like ‘Walden’ by Henry David Thoreau. I’ve spent an incredible amount of time alone in communication with nature. Often I awake at sunrise or moments before, and always, without fail, I make sure I am outside during sunset. I’ve never been an outdoorsy person and yet I love Costa Rica’s countryside. Everything is so beautiful here, the mountains, the jungles and the sky, sometimes I swear when I look up, the clouds are perfect, perfect sizes and perfect shapes, during the day when they’re white and puffy and at sunset when they reflect gold and pink. Strangely, I grew up in Florida drinking orange juice and ice tea and yet, the best ice tea and orange juice I’ve ever had is in Costa Rica. Their milk shakes are great, too as is their ice cream. Coffee here is potent and delicious and their chocolate rivals the best in the world. Like the quest of the Transcendentalist, I’ve ‘found myself’ in this beauty and solitude. I’m happy, and see my life with a newfound clarity. I’ve accepted every aspect of my past, happy with my present and have renewed enthusiasm for my future. While here, I’ve meditated, I’ve prayed and I’ve written a novel. I’ve also lost weight and genuinely look the best I’ve looked in years. However, there’s something I’ve lacked down here that I don’t want anyone to suffer from. Lack of companionship. All this beauty would be enhanced if I was here with somebody I love. Don’t get me wrong. I’ve had a great time here and have enjoyed my solitude but there have been so many moments that would’ve romantic with the right company. A few nights ago, we had a full moon that hung over the villa, just a few clouds in the sky, even the dark, stone-filled dirt roads that are generally black as midnight by 7, were now illuminated by grey light bright enough to not use my flashlight, a necessity in a part of the country where there are very few street lights and the jungle’s protected by the government. It felt like I was walking through a black & white movie. You can see everything clearly but it’s all dark and grey. Walking into the beautiful night I thought first of Erskine Caldwell who once wrote, “At night, I saw how beautiful the day could never be,” and I thought about love. I would’ve done anything to share that night with somebody I love. To share the sunsets, the sunrise, the perfect clouds, the coffee, the chocolate, the food, the nearby beaches, the waterfall, and the multiple swimming pools here in the villas, with somebody you love, would make my here as romantic as it would be perfect. Don’t get me wrong. I’m happy and think this time here has been exactly what the doctor ordered and I know you can have the same great, enriched, transformative experience that I have. However, you can do one better than me by simply bringing somebody with you whom you love. And loves you back. Be it a spouse or a lover. 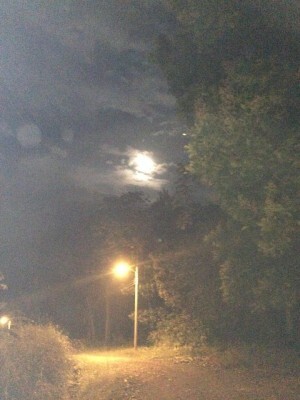 Come here alone, -I’m having a great time, or bring somebody you love and hold hands while walking during the full moon and pretend you’re in a black and white movie and kiss. Lay in the fresh cut fields pointing out which cloud is most perfect, admire the other’s skin when the sun sets, and open the bedroom windows, pull the curtains aside and snuggle when the sun rises. My name is Ezekiel Tyrus. I am the gatekeeper to paradise. Contact me. Come down here. You’ll have an amazing time. Bring somebody you love and make it romantic. I am house-sitting where you belong. This place belongs to you, dear Reader. Do you understand? I’m merely the gatekeeper, the house-sitter of YOUR paradise and I’m in bliss. Again, I repeat. It is Christmas Eve in Costa Rica and I’m in bliss. And this experience, belongs to you. Made some lemon ice tea last night. It’s some of the best I’ve ever had and I’m originally from Florida so I know my lemon ice tea. It’s sunny. I’m hanging by the swimming pool, got the house open, the windows, the doors, and have the TV on the classic MTV channel playing music from the 1980s, my generation. the good songs and the bad, which are good now, too, if only for nostalgia’s sake. It’s hot, very hot and the sun is baking but I’m wearing suntan lotion and there’s a breeze coming through the trees from over the mountains. Whenever I get too sweaty, I jump into the pool, always the right amount of chill, refreshing, invigorating. -Great line Hemingway, and though I know you were writing about Paris in the 1920s, the same is true about Costa Rica today. You may want to read another book or listen to another music channel but this experience belongs to you, you deserve it, let’s make it happen. 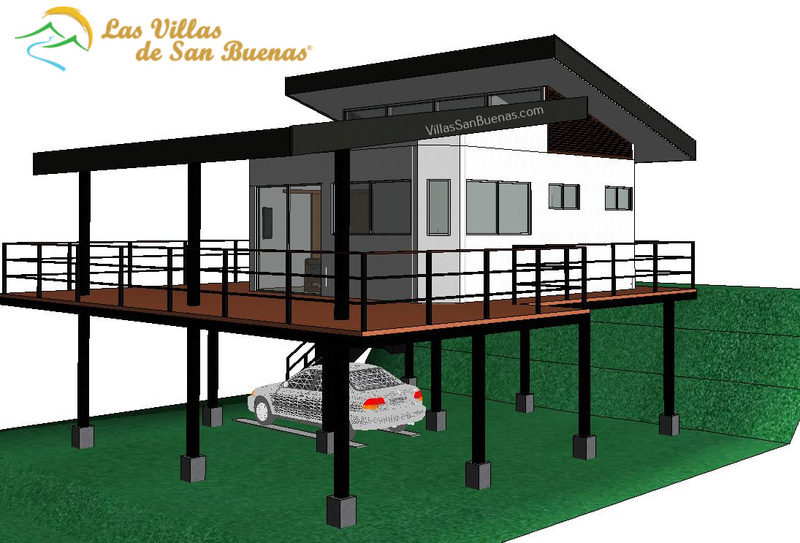 Come to Villas de San Buenas de Osa. This place is beautiful and magical. The land gets inside your soul and changes you in a positive way. With all this beauty and happiness happening in the daytime, I don’t know how I will contain myself at 4:30 when the sun sets turning the earth and the sky into pink and gold, my favorite time of day in San Buenas. Regardless how giddy or silly I’ll be, surely you’ll see me back in the same spacious backyard taking pictures of the sunset like I have every evening since coming down to Costa Rica a little over a month ago. I’m not discrediting the Northern Lights. If you are like me, seeing the Aurora Borealis, a collisions between gaseous particles in the Earth’s atmosphere, is on your Bucket List. 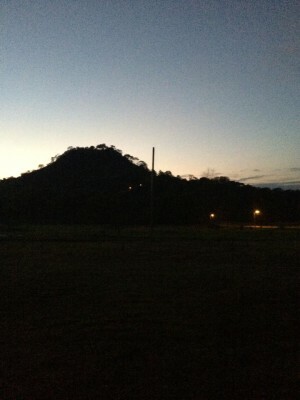 However, I don’t believe the Northern Lights will have anything on the sunsets of Costa Rica. There are 5 specific reasons why I feel this way, the first 3 are practical, the other 2 are special like Costa Rica itself. First, to get to the Aurora Borealis, you’ve got to travel to the far North. The closer you get to the Arctic Circle, the more prominent the Northern Lights are. 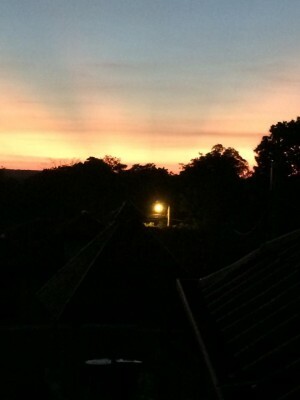 For the sunsets, all you’ve got to do is come to Costa Rica. Second, because it’s the far North, you’ve got to wear layers upon layers just to stay warm. It’s cold! Here, in Costa Rica, I usually wear nothing but a tank top and running shorts, only throwing on shoes when I’ve got to go somewhere. Go ahead and keep your layers, when I’m through writing this, I taking off my tank top and going for a swim. Third, you’ve got to look up towards the sky to see The Northern Lights. Even though it’s lovely, who needs that neck-strain? Seriously. I’m in Villas de San Buenas de Osa in the Southern Zone, and all one has to do is look straight towards the Pacific Ocean beyond the horizon. There’s no Daylight Savings Time in Costa Rica like there is in The States, screwing up Americans emotionally and mentally for days and weeks on end. This is why you always make sure you’re outside at 4:30pm every day all year long, and you can stand or walk or sit in a chair and just look straight ahead to where the sun’s setting. No neck-strain. This leads to the fourth reason. The Aurora Borealis is up in the sky, beyond your reach. A Costa Rica Sunset envelops you. You watch the sun set, then at 4:45, almost 5, you look around you as the entire country turns into gold. There’s a sheen everywhere. Everybody’s skin is glowing, including yours. The incredible light, the soft golden hue is reflecting in all the vegetation, the mountains, the jungle, reflecting back against the houses, and you can walk around letting the light embrace you, or spin around like when you were a kid in a field. You are part of this natural wonder. It’s of the Earth, the air and sky. You don’t need to look upwards but around, or rather straight-ahead and side-to-side. 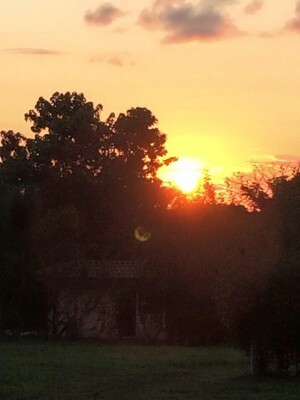 You are inside the Costa Rica sunset from your bare feet to the top of your head. If you are a spiritual person you will see and feel your God. This may be true regarding the Aurora Borealis but it’s different when you are inside your God, and can feel and see God all around you, not just up in the sky. And lastly, if you are an artistic person, like myself, and we each have an art inside us, the sunsets of Costa Rica will make you want to create art. Mine has always been the written word, but each sunset I experience, inspires me to go beyond words, enabling me to draw, to paint, and even take photographs than I ever have before. Your skin will never look better than it will during a Costa Rican sunset, so take lots of pictures and nobody will need to tell you to smile because you’ll already be there. The Northern Lights certainly inspired artists, folksinger Nick Drake wrote beautiful songs about it but when you’re inside a Costa Rican sunset, if makes everybody feel like an artist and you’ll feel like a piece of art for just being there. My name is Ezekiel Tyrus. People call me Zeke. I am the gatekeeper to Paradise. Come see me. Nick Halverson (L) and Carrol L Henderson enjoyed meeting and discussing Costa Rica earlier this week. their experiences and stories about Costa Rica. Mr. Henderson is a wildlife biologist for the Minnesota Department of Natural Resources and has written four books about Costa Rica’s mammals, birds and wildlife. During the 75 minute meeting, Carrol shared many stories of his travels around the world and his success in raising awareness of wildlife in Costa Rica. In fact, Carrol was instrumental in getting the Ballena National Park designated as a national park by using photographs he took of migrating whales, and having those compared to photos on file at the Cousteau Institute. Carrol has spent a lifetime studying wildlife in both Costa Rica and in Minnesota, USA. He made his first visit to Costa Rica in the late 1960’s, where he met and married his wife of 40 years+. Over the past 45 years, Carrol has documented every trip and every animal sighting he’s had in Costa Rica. Armed with this data, he went on to write his books about wildlife in Costa Rica. He is constantly looking for updates and photographic proof of sightings so each new edition of his books is kept up-to-date. In fact, after the meeting Mr. Halverson sent Mr. Henderson some photos so that Carrol could identify the bird species in the photos. Las Villas de San Buenas is committed to protecting the environment and due to this commitment, birds that were not seen 10 years ago in San Buenaventura are now common. Through working with professional horticultures, local experts and actively searching out other professionals (such as Carrol Henderson), Las Villas de San Buenas is continuing to improve the environmental diversity of Osa. It turns out that Carrol and the Chairman of the Board of Las Villas de San Buenas, Duane Halverson, both were born in Iowa and both were students at Iowa State University at the same time in the late 1960’s. 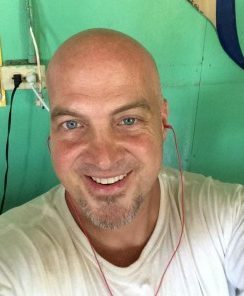 Nick Halverson was also born in Iowa, and interestingly, both Nick and Carrol have a strong belief that to truly appreciate and enjoy Costa Rica, one must immerse oneself into the local culture and customs. Since 1987, Mr. Henderson has lead private birding tours for small groups of people. Every trip is unique and different from any other previous trips. If anyone is interested in learning more about his past trips, or the January 2016 trip, please send us a note. NOTE: All of Carrol’s books are available at national book sellers and Amazon. Costa Rica once again is named the Happiest Country in the World. These scores are combined to an expanded six-colour traffic light for the overall HPI score, where, to achieve bright green – the best of the six colours, a country would have to perform well on all three individual components. As one can see, interestingly, four of the top five happiest places are in Central or South America. By way of comparison, the USA ranked 105th, Canada ranked 65th and France 50th. For more information, and a full ranking of 151 countries, please visit their website here. Everyone here at Las Villas de San Buenas, and the town of San Buenaventura, understands the happiness lifestyle. People of Costa Rica tend to be more relaxed and proud of what they have – not envious and jealous of others who have “more”. Although many Costa Ricans may not have a lot of “stuff”, what many Costa Ricans do have more of than other countries is a commitment to family and friendship. This focus and commitment to family and friends is why Costa Rica continues to be a destination for people from around the world (and why we have had customers from eight countries!). 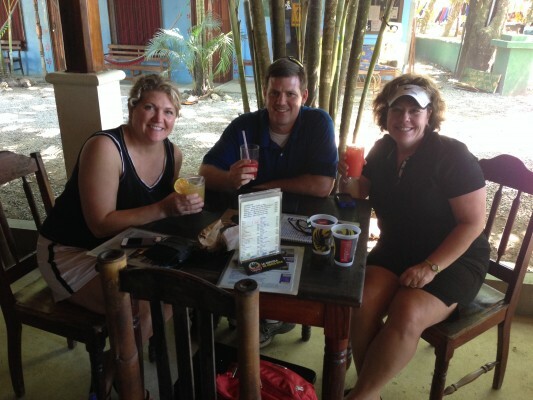 Enjoying a drink at Tortilla Flats, Dominical, Osa, Costa Rica. International travel in Costa Rica increased 6.4% in 2014 (up by over 103,000 travelers compared to 2013). The number of travelers traveling through Costa Rica’s two international airports increased by over 6% in 2014 compared to 2013. The Tico Times provided the following information. Not surprisingly the majority of visitors come from North America. In fact, North America accounted for 74% of all international visitors to Costa Rica in 2013. Tourism Ministry officials on Thursday reported that revenues from Costa Rica’s travel sector last year totaled $2.6 billion, an 8.3 percent increase over the $2.4 billion registered in 2013, according to figures from the Central Bank. Officials credited the 2,526,817 international arrivals registered in 2014, an increase of 4.1 percent over the previous year. That’s an increase of 98,876 arrivals by air, land and at ports, the Costa Rican Tourism Board (ICT) reported. Tourism Minister Wilhelm Von Breymann said that the arrival figures are generated by crossing reports from the Immigration Administration and the ICT. Air terminals still are the main ports of entry for international travelers, and the country’s two international airports — Juan Santamaría and Daniel Oduber — registered an increase in arrivals of 6.4 percent, or 103,509 travelers. According to the Immigration Administration, this is the highest number since 2008 when the international crisis hit the tourism sector worldwide and in Costa Rica led to a decrease of more than 100,000 arrivals in 2009. Von Breymann noted that 67.5 percent of international arrivals came from North American countries, followed by Europe at 16.5 percent and South America at 6.9 percent. “The ICT’s promotional efforts this year will focus on attracting more tourists from those markets,” Marketing Director Alejandro Castro told The Tico Times. The U.S. remains the main source of travelers, and in 2014, Costa Rica registered 936,929 arrivals from that country – a 7.6 percent increase from 2013. Arrivals from Canada also increased by 7.5 percent, according to the Immigration Administration report. “Our research told us that the U.S. has a potential market of 65 to 70 million citizens who want to travel abroad, and some 16 million would be interested in a destination like Costa Rica. So there is still great potential for us to increase arrivals from there,” ICT’s Director of Strategic Planning Rodolfo Lizano said. By percentage, however, the region that showed the most important hike was Europe, which grew by 19.9 percent. According to Immigration Administration records, Germany, France, Spain and the U.K. are the main sources of travelers from that continent. The only drop was registered by South American travelers, which decreased by 18.1 percent “driven mainly by the FIFA World Cup that attracted tourists to Brazil,” Lizano said. He also said that greater revenues were influenced by an increase in tourists’ average stay, from 11.6 to 12.1 nights. That prompted a hike in the average per-person spending from $1,252 in 2013 to $1,378 last year. “These variables reflect Costa Rica’s leadership in the region as our figures actually can be compared with those of major destinations around the world. Our direct competition is not in the region,” Lizano said. Asked if the opening of relations between Cuba and the U.S. and the boost of the tourism industry in Nicaragua would affect Costa Rica, Von Breymann said he does not believe those countries represent direct threats to Costa Rica’s tourism sector. “Cuba is basically sun and beach. We have a much wider variety of tourism options here, and the country’s size gives tourists the possibility to visit many different destinations in a short period of time. As for other countries in the region, our main advantage is the experience and development of our tourism industry, which is many years ahead,” he said. According to the United Nations World Tourism Organization, regional countries such as Panama and Nicaragua last year registered average stays of eight days, while Cuba and Mexico reported 10 and 11 days, respectively. ICT officials highlighted that another advantage for Costa Rica is its lodging capacity, as the country currently has 45,531 rooms, a figure that exceeds by far Panama’s 22,768 rooms and Nicaragua’s 11,189, according to World Tourism Organization figures. Regarding the ministry’s plans for this year, von Breymann said officials have detected a strong potential in specialized types of tourism such as fashion, health and wellness, sports and events. He said officials are hoping to speed up construction of a National Convention Center, a key infrastructure project to attract event-related tourists.